A gold, beaded, Etruscan-work design is complemented by twisted rope framing on this 14K yellow gold vintage wedding band. 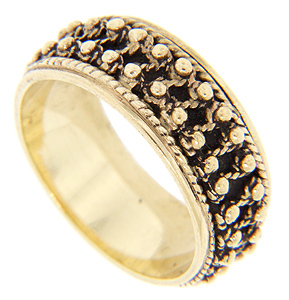 The ring measures 7.75mm wide. Circa: 1950. Size: 7. Cannot be re-sized.